We are holding an Easter Fun Day on Monday 22 April, 11am to 2pm in St. Raphael’s Edible Garden. Please come down and join us in our beautiful garden where there will be an Easter Egg Hunt for children, a tour of the garden, an egg and spoon race, the opportunity to meet our lovely chickens and yummy food and drink, all for free! 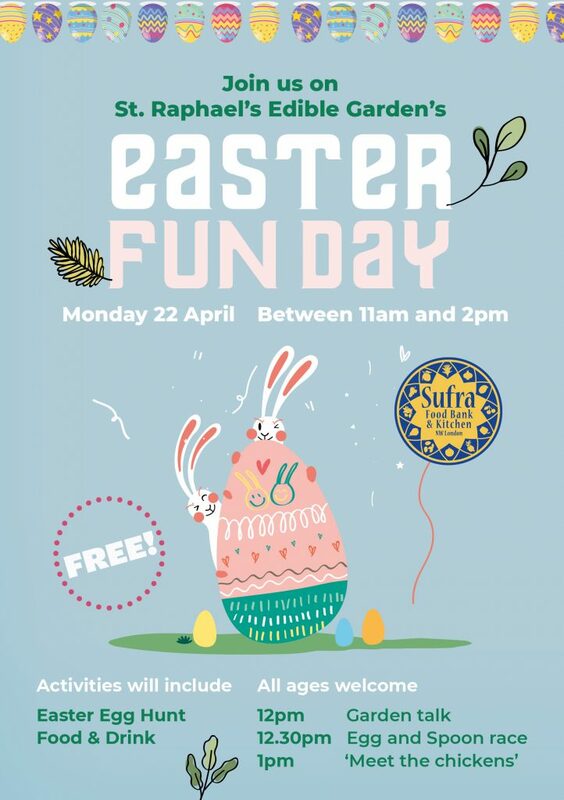 All are welcome and you can join throughout the event to take part in the Easter Egg hunt – all children will receive a free chocolate Easter egg once they have completed the hunt. We are also in need of volunteers so if you would like to help, please sign up here. January 3, 2019 No food? No Money? No Home? Merry Christmas!